100 Pack - A convenient way to take our honey with you wherever you go! Love our Black Seed Herbal Honey? Now we offer an easy, convenient way to take it with you in the car, while you are at work, or even at play. 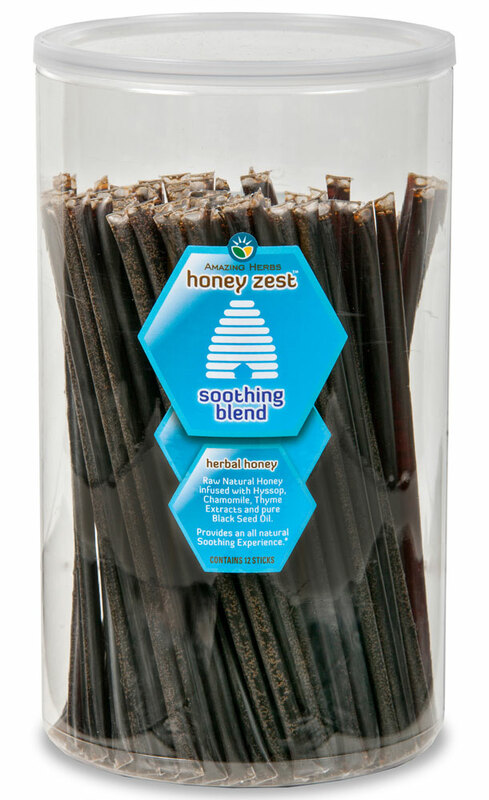 One single honey stick offers just the perfect amount of honey for a single serving. Made with 100% Pure Black Seed Oil, Hyssop, Chamomile, Thyme and Raw Natural Honey.